On February 20th, Samir Flores Soberanes, popular communicator and activist, was murdered outside his house in Amilcingo, a community located at Morelos state in the eastern center of Mexico. His murder took place the day after he publicly announced, once again, his opposition to the Morelos Integral Project (PIM in Spanish) at a federal government assembly — three days before the government launched a public referendum about the project. Samir Flores Soberanes woke up every day at six in the morning to speak at the local community radio station. Along with other community leaders, he founded the local radio station, Radio Amilzintko, in 2013, to create a channel to share news and information in the face of the Morelos Integral Project threat. Since 2011, the Mexican government has tried to impose the Morelos Integral Project. Amilcingo is located near the Popocatepetl volcano, and it is one of the several communities affected by the Morelos Integral Project which geographically crosses 24 municipalities of three Mexican states: Morelos, Puebla and Tlaxcala. The thermoelectric project belongs to the Federal Electricity Commission.Since 2011, the local communities, international human rights groups and academics have opposed the project because of the health risks it imposes on indigenous communities, the damage it will cause to their lands and crops and the monumental safety risks due to its proximity to the Popocatepetl volcano. Samir organized with the community through daily radio broadcasts. His voice represented the voice of a community standing together to defend themselves from a project that would affect their land, water and wellbeing. WITNESS firmly believes in sharing and promoting the use of video tools to strengthen community movements to defend human rights. On August 2014, we started working in Amilcingo and met Samir.Alternative media gathered in Amilcingo to learn from each other’s experiences about their use of communication and media platforms for defending the land, territory and natural resources. As a result, independent and alternative media made this video called Raising the Eyes, advocating the voice to show what the PIM is about and how Amilcingo people are organizing to resist. One of these acts of resistance was building the community radio station. 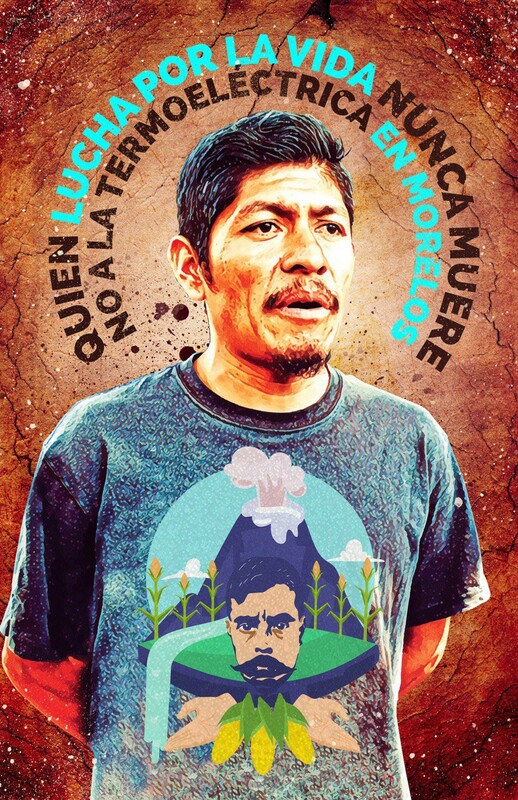 Samir was brutally murdered on February 2019, as the government began its federally-mandated consultative process on PIM with the Amilcingo community. Now the government is pointing the finger at organized crime groups as possible perpetrators and going so far as to say it will investigate people from the community. It is the responsibility of the government to obtain a verdict in the investigation of this atrocious crime, while restoring a favorable climate so that human rights defenders can carry out their work. Criminalizing land defenders is an action that goes directly against this obligation. WITNESS believes this creates a hostile environment, and until the impunity of Samir’s murder is addressed, the PMI has no ground to move forward, not until the dialogue with the community is established. WITNESS strongly condemns the murder of Samir. It is urgent that the Mexican government thoroughly investigate the case. It cannot go unpunished as it is impunity that enables killings of leaders from indigenous communities to continue. These communities are fighting every day to defend their rights, their community, their children, their wellbeing. Sign the petition today. Originally published at WITNESS Blog.